The level of detail in your model just astounding and I love the look of the materials you chose. For someone who "isn't really into modelling" you've clearly demonstrated a talent for it! Well done. I lurk more than I post, but this is just phenomenal. Your photo updates, insight and enthusiams are always much appreciated. Keep up the great work steveve! Oh wow. steveve, that is just awesome stuff. There was mention of you and a link to this thread on the Torontoist today. Great work Steveve. Steveve...I'm totally impressed! Well done! I hope all the idiots that have criticized you in the past and have never taken on something so ambitious, see what you've done and get reconstructive surgery at a discount when their "mouthy" jaws break on their computer desks when they fall open! LOL. Congrats on your accomplishment. Fantastic work, steveve. I hope you make something of your talent. Extraordinary work... bravo! Would love to see some closer shots of buildings like Shangri la... the level of detail looks amazing. I'm off to my aA meeting but they haven't helped much so far (recovery seems out of reach when you are boxed in). 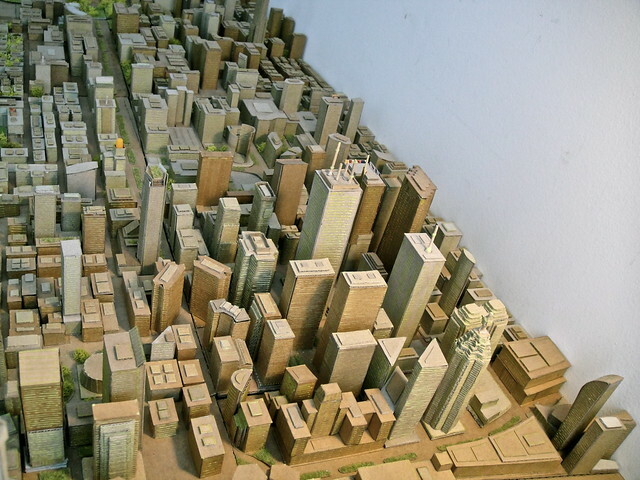 "the city hall model is definitely more polished and larger, but it's dated and needs updating. and it's been sitting there for years. 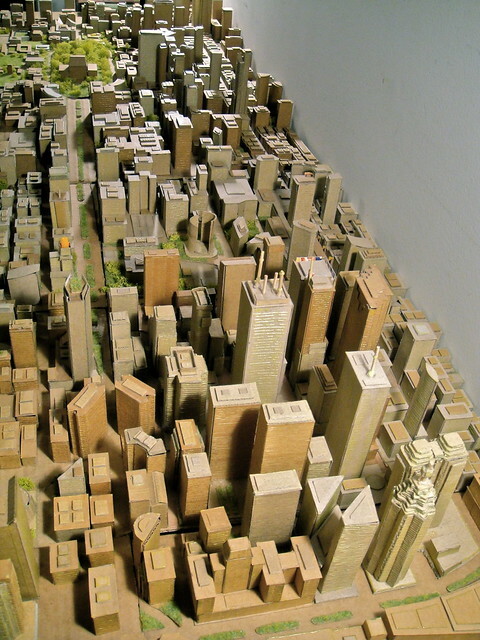 I'd like to see the city built a newer model (like the one in chicago) with present to future buildings"
I've got a better idea if this truly interests you. 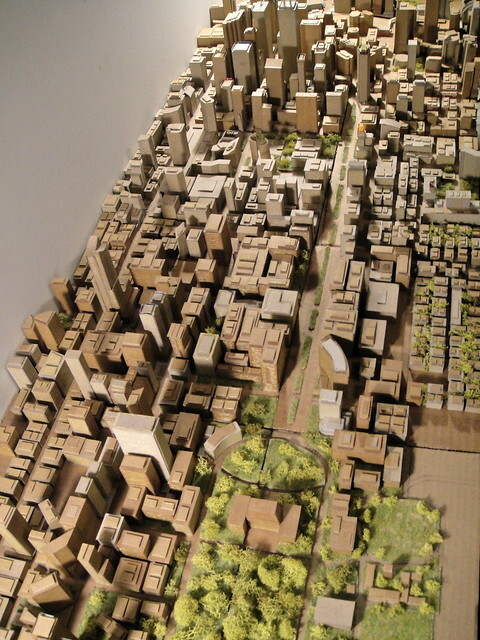 Why don't you come up with a budget and go down to city hall with your model and pitch them to pay you to build and continuously update a new city model to set up at city hall. Be ambitious with the scope and scale of the project. Since you would be updating the model you could approach developers and construction firms and industry organizations to contribute money in order to get their name on the project. Oh, and don't forget to include a big urbantoronto logo on it in exchange for money and a continuous stream of useful updates and project information. Is the L Tower still going to have that tapering/leaning effect (not the roof) or will it be built straight up now that the original base is no longer part of the design? 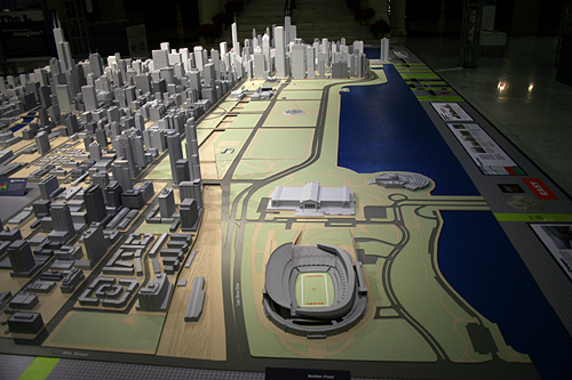 You really should show your model to someone at city hall. Though I doubt they'd be willing to pay you to upgrade it. I can't see that being a priority to them, but it's worth a shot. 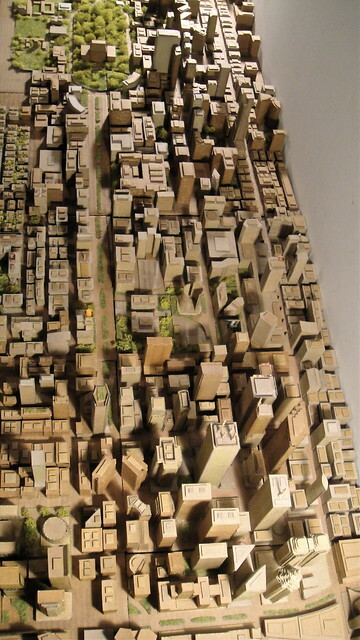 I was reading an article on the model they have at city hall. With the right funding they can make a new/updated one. that's what happened in chicago with their model. it turned out to be epic... beyond epic. Like everyone said, this really is just amazing!